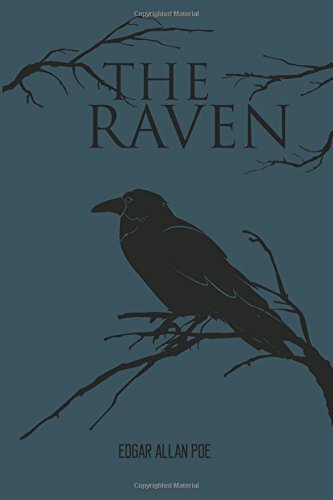 There are few pieces of American fiction more recognizable than Edgar Allan Poe’s seminal classic “The Raven.” It is taught at numerous ages and grades and is remembered and recounted at yearly Halloween specials. It is one of the most alluded to works in pop culture, appearing in episodes of The Simpsons – I use this every year because it cracks me up, Garfield and Friends, Tiny Toon Adventures, The Addams Family, Gilmore Girls and countless others. This famous work, while beautiful and rhythmic harbours a dark, depressing secret, but then, if you have ever read it, you probably already know that. In analyzing poetry, establishing an understanding of the context behind each work becomes as, if not more, important than doing so with novels. Poets usually pour their lives into their work and so at least a passing knowledge of the artist is usually needed to fully grasp the work as a whole. If any of you have ever studied Poe before, you know that his life was a terrible mess. Every woman in his life died tragically of tuberculosis, the last of which, his wife Virginia, seemed to spiral Poe out of control. Also, he suffered from depression, alcoholism, and failure in his work. While “The Raven” is easily his most recognizable work, Poe only received a total of $9 for publishing the work and miniscule proceeds, if anything at all, after. Almost all of Poe’s poetry deals with death, especially the death of a beautiful woman. Most of these works, namely Poe’s other incredibly famous Poem “Annabel Lee,” deal with the loss of his wife. It is so commonplace in his work that an old student of mine titled her Thesis over his work: “Poe Cries Over Dead Ladies,” a title that made me laugh out loud. With all of this knowledge, we can now begin to look at the beautiful work which made Poe a household name. These lines and the others in similar fashion push the tempo and rhythm and create not only an ethereal sound but also a very memorable one. Besides the craft and structure, the poem also presents a tragically beautiful analogy. As before, we have discussed that figurative language and symbols help to build extended metaphors and allegories. There are multiple allusions and symbols present in the poem which help to develop the overall story of a man haunted by the loss of his lover. The Raven, classically a bird of death (not because of the colour but because of the fact that it is a carrion bird), is the most overt symbol in the entire work. It appears out of the world and stays to haunt the narrator, only ever uttering the phrase “Nevermore.” When it enters the room, it immediately goes and posts itself “upon a bust of Pallas” above the door of the room. Pallas refers to Pallas Athena, the Greek goddess of wisdom and the embodiment of the perfect woman. The room itself seems to hold a larger meaning as well. We never see the outside world. Instead, when the narrator throws open his study door, there is simply nothing. The same is shown when he opens his window and lets the bird in. We are never given any indication of the description or even existence of the outside world as a whole and, in keeping with other works of Poe’s (“The Pit and the Pendulum,” “The Fall of the House of Usher,” “The Haunted Palace”), that leads me to believe that the study in which the man sits is representative of his own mind. There is nothing outside because, in his state of sadness and grief, the outside world is nonexistent or at least inconsequential. There are also multiple allusions presented. Poe first references Seraphim, a choir of angels, who come and perfume the room with incense. He also references nepenthe, a drug of forgetfulness in Greek mythology. When denied, he asks if there is balm in Gilead, a direct reference to Jeremiah and his curative medicine, and when that doesn’t work, he asks about a place named Aidenn (another name for Eden, referencing the Biblical paradise). All of these allusions deal with the speaker struggling valiantly to escape his sadness. We will come back to this later. Now that we have looked at all of the elements of the poem separately, lets piece them together and discover what the work is truly about. Our narrator is sitting one night, in December, reading old books (volumes of forgotten lore) and struggling to escape the memory of his lost love, Lenore. We know that she is dead and not just gone by his diction – “the lost Lenore” and “nameless here for evermore.” All of a sudden the narrator is stirred form his pondering by a tapping sound at his door. He opens the door but to his surprise, there is nothing there. When he hears the same sound from his window, he goes to the sill, opens the window and in flies a Raven. He startles as the bird perches atop the bust of Pallas Athena and stares at him. The narrator addresses the Raven, asking what its name is, and is given the response of “Nevermore.” The narrator spends multiple stanzas wondering and convincing himself that the bird had learned this phrase from an old master, but we are given another glimpse into the heart of our narrator when he says, “Other friends have flown before--/On the morrow he will leave me, as my Hopes have flown before.” Our narrator feels abandoned and is convinced that like everyone else in his life, this bird—his new companion—will also desert him. Luckily, or unluckily as we soon find out, the bird says “Nevermore,” indicating that he will never leave the speaker. Next we are given multiple stanzas that show the speaker’s incredible sadness at the loss of his love. Remember those allusions from before? Here is where they will come into play. The speaker believes that angels have sent the bird and asks if it has brought him divine respite and nepenthe from the lost Lenore. He wishes above all else just to forget his sadness. Unfortunately, this is not the case and the bird says nevermore. Next the speaker asks if there is balm in Gilead, hoping that maybe the bird has brought him medicine to help heal his broken heart, but again, the bird says nevermore. Lastly, and at his wits end, the narrator asks the bird if in the afterlife, Lenore is in heaven. Once again, and frustratingly so, the bird answers again, “Nevermore.” No matter what the man wants—to forget, to heal, or to know about the afterlife, the bird simply will not oblige. The narrator curses the bird, wishing him to leave the room and the bust of Pallas and go back to the hell from whence he came but the bird refuses, saying “Nevermore” once again. The poem ends with the bird sitting forever on the bust, looking down and casting his shadow over the man who will never escape. This poem is a true testament to the sadness and depression which can completely overtake a person when the one they love most has been taken too soon.